Today many whose goal once was the discovery of truth are now paid handsomely to hide it. â€œFree market economistsâ€ are paid to sell offshoring to the American people. High-productivity, high value-added American jobs are denigrated as dirty, old industrial jobs. Relicts from long ago, we are best shed of them. Their place has been taken by â€œthe New Economy,â€ a mythical economy that allegedly consists of high-tech white collar jobs in which Americans innovate and finance activities that occur offshore. All Americans need in order to participate in this â€œnew economyâ€ are finance degrees from Ivy League universities, and then they will work on Wall Street at million dollar jobs. The Council of Europe is investigating big pharmaâ€™s role in hyping a false swine flu pandemic in order to gain billions of dollars in sales of the vaccine. And there is the global warming scandal, in which climate scientists, financed by Wall Street and corporations anxious to get their mitts on â€œcap and tradeâ€ and by a U.N. agency anxious to redistribute income from rich to poor countries, concocted a doomsday scenario in order to create profit in pollution. I remember when, following CIA director William Colbyâ€™s testimony before the Church Committee in the mid-1970s, presidents Gerald Ford and Ronald Reagan issued executive orders preventing the CIA and U.S. black-op groups from assassinating foreign leaders. In 2010 the US Congress was told by Dennis Blair, head of national intelligence, that the US now assassinates its own citizens in addition to foreign leaders. When Blair told the House Intelligence Committee that US citizens no longer needed to be arrested, charged, tried, and convicted of a capital crime, just murdered on suspicion alone of being a â€œthreat,â€ he wasnâ€™t impeached. No investigation pursued. Nothing happened. There was no Church Committee. In the mid-1970s the CIA got into trouble for plots to kill Castro. Today it is American citizens who are on the hit list. Whatever objections there might be donâ€™t carry any weight. No one in government is in any trouble over the assassination of U.S. citizens by the U.S. government. As an economist, I am astonished that the American economics profession has no awareness whatsoever that the U.S. economy has been destroyed by the offshoring of U.S. GDP to overseas countries. U.S. corporations, in pursuit of absolute advantage or lowest labor costs and maximum CEO â€œperformance bonuses,â€ have moved the production of goods and services marketed to Americans to China, India, and elsewhere abroad. When I read economists describe offshoring as free trade based on comparative advantage, I realize that there is no intelligence or integrity in the American economics profession. Intelligence and integrity have been purchased by money. The transnational or global U.S. corporations pay multi-million dollar compensation packages to top managers, who achieve these â€œperformance awardsâ€ by replacing U.S. labor with foreign labor. While Washington worries about â€œthe Muslim threat,â€ Wall Street, U.S. corporations and â€œfree marketâ€ shills destroy the U.S. economy and the prospects of tens of millions of Americans. Americans have bought into the governmentâ€™s claim that security requires the suspension of civil liberties and accountable government. Astonishingly, Americans, or most of them, believe that civil liberties, such as habeas corpus and due process, protect â€œterrorists,â€ and not themselves. Many also believe that the Constitution is a tired old document that prevents government from exercising the kind of police state powers necessary to keep Americans safe and free. For the last six years I have been banned from the â€œmainstream media.â€ My last column in the New York Times appeared in January, 2004, coauthored with Democratic U.S. Senator Charles Schumer representing New York. We addressed the offshoring of U.S. jobs. Our op-ed article produced a conference at the Brookings Institution in Washington, D.C. and live coverage by C-Span. A debate was launched. No such thing could happen today. For years I was a mainstay at the Washington Times, producing credibility for the Moony newspaper as a Business Week columnist, former Wall Street Journal editor, and former Assistant Secretary of the U.S. Treasury. But when I began criticizing Bushâ€™s wars of aggression, the order came down to Mary Lou Forbes to cancel my column. Americaâ€™s fate was sealed when the public and the anti-war movement bought the governmentâ€™s 9/11 conspiracy theory. 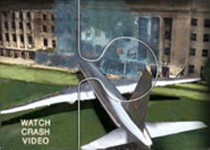 The governmentâ€™s account of 9/11 is contradicted by much evidence. Nevertheless, this defining event of our time, which has launched the US on interminable wars of aggression and a domestic police state, is a taboo topic for investigation in the media. It is pointless to complain of war and a police state when one accepts the premise upon which they are based. These trillion dollar wars have created financing problems for Washingtonâ€™s deficits and threaten the U.S. dollarâ€™s role as world reserve currency. The wars and the pressure that the budget deficits put on the dollarâ€™s value have put Social Security and Medicare on the chopping block. Former Goldman Sachs chairman and U.S. Treasury Secretary Hank Paulson is after these protections for the elderly. Fed chairman Bernanke is also after them. The Republicans are after them as well. These protections are called â€œentitlementsâ€ as if they are some sort of welfare that people have not paid for in payroll taxes all their working lives. With over 21 percent unemployment as measured by the methodology of 1980, with American jobs, GDP, and technology having been given to China and India, with war being Washingtonâ€™s greatest commitment, with the dollar over-burdened with debt, with civil liberty sacrificed to the â€œwar on terror,â€ the liberty and prosperity of the American people have been thrown into the trash bin of history. Paul Craig Roberts was Assistant Secretary of the Treasury during President Reaganâ€™s first term. He was Associate Editor of the Wall Street Journal. He has held numerous academic appointments, including the William E. Simon Chair, Center for Strategic and International Studies, Georgetown University, and Senior Research Fellow, Hoover Institution, Stanford University. He was awarded the Legion of Honor by French President Francois Mitterrand.